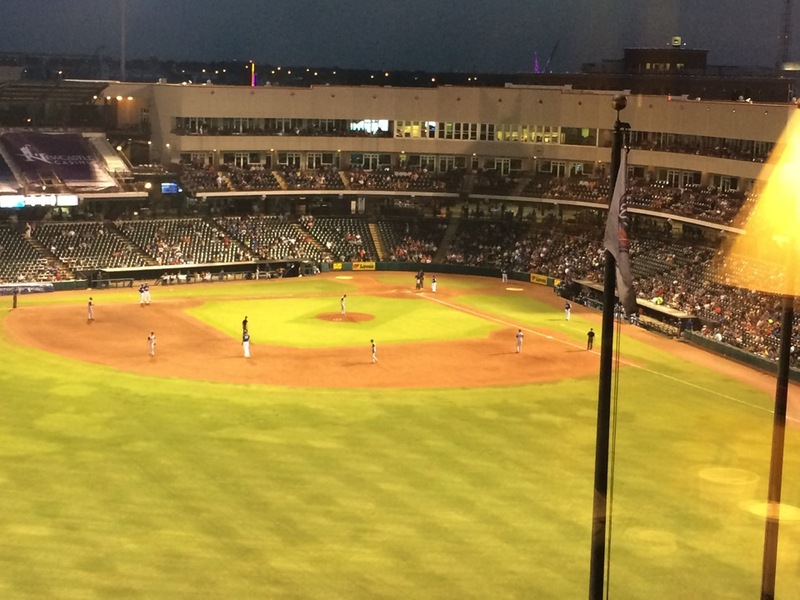 We stayed at an awesome hotel in OKC… the Hampton in Bricktown. The hotel is on the ball field! 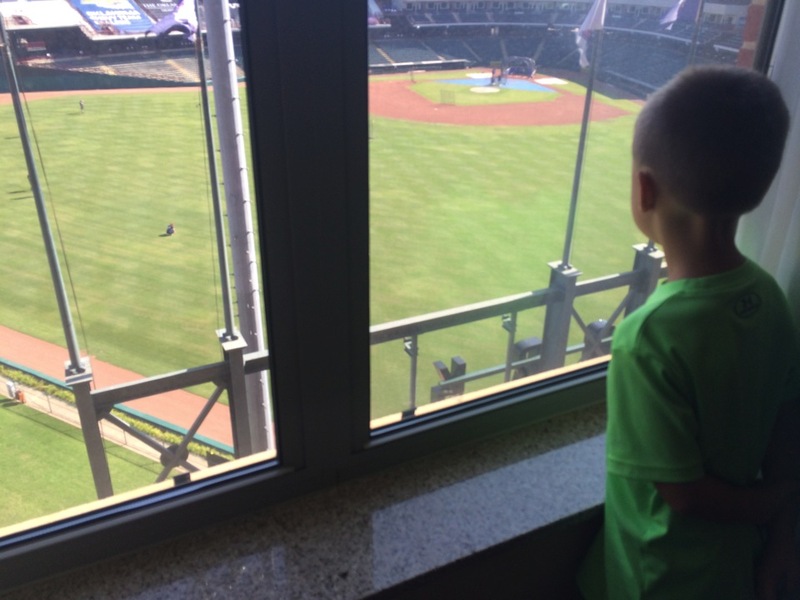 Last year we stayed at the same hotel but we didn’t have a view of the ballpark from our room. 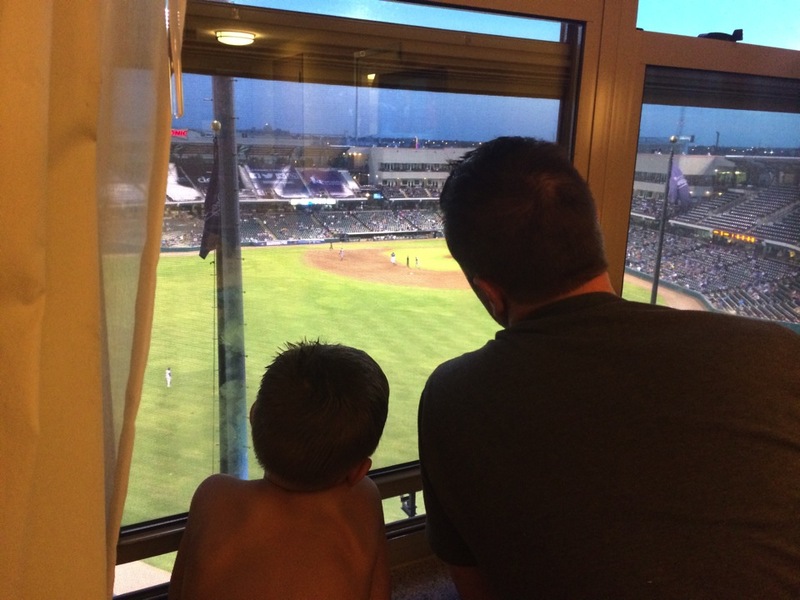 This time I made sure we requested a ballpark view room and we went on a night when a game was being played! This picture was taken right after we checked in. Here you can see workers preparing the field before the game… they were watering the grass! 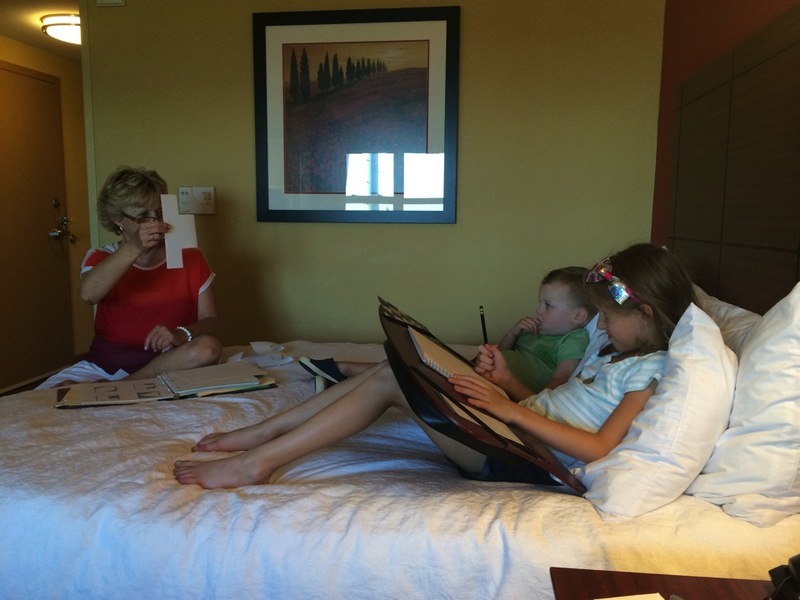 Nana doing school work with Emma at the hotel- once a teacher always a teacher- Emma loves doing school work with Nana! 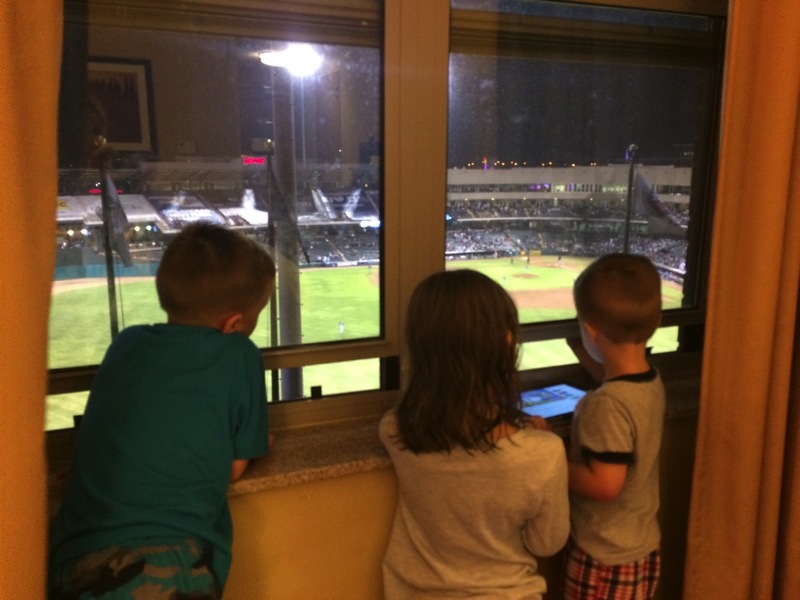 That evening after dinner we quickly came back to our room to watch the baseball game. The kids loved it! They had the option of swimming at the hotel or watching the game and they all wanted to watch the game! We knew that Foster was going to be playing baseball the next year so this was a great opportunity for Robin to explain the game to Foster. Not a bad bedtime activity! And we didn’t even have to get all hot and sticky outside!